If you visit a brewery and a taqueria on the same date, you are probably having a great night. 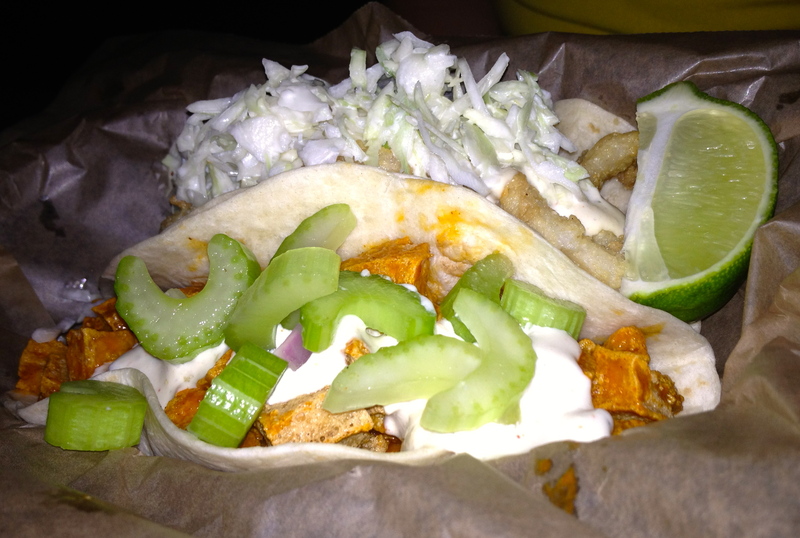 Date Night sips suds and tastes tacos in the Collier Hills area for one fun experience. Like most micro breweries, Red Brick is located in a non-descript industrial park. 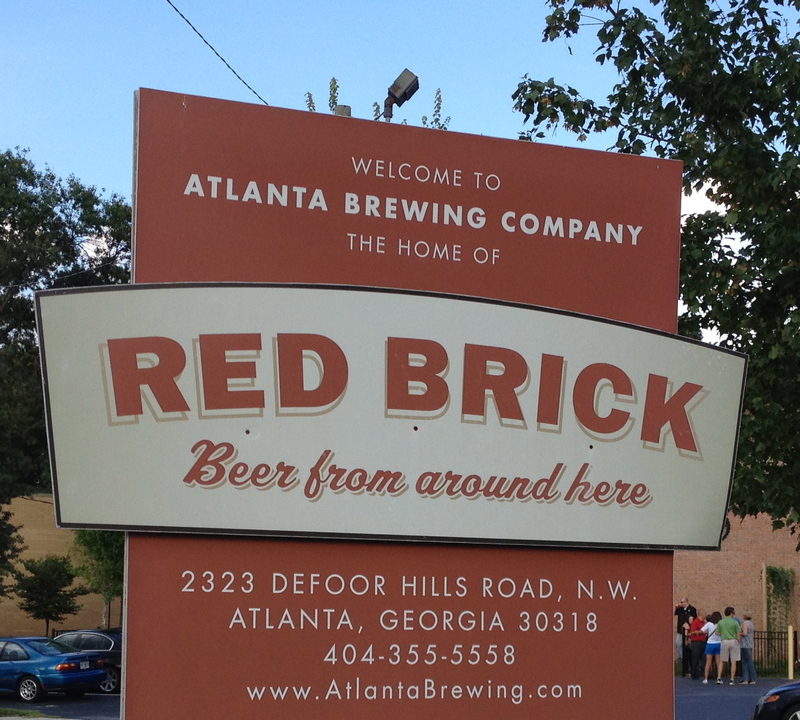 We have tasted at every brewery in the Atlanta area except for one: Red Brick. We have sampled at Sweetwater, Jailhouse, Five Seasons, Red Hare, and Terrapin in Athens, but for some reason have not been here. 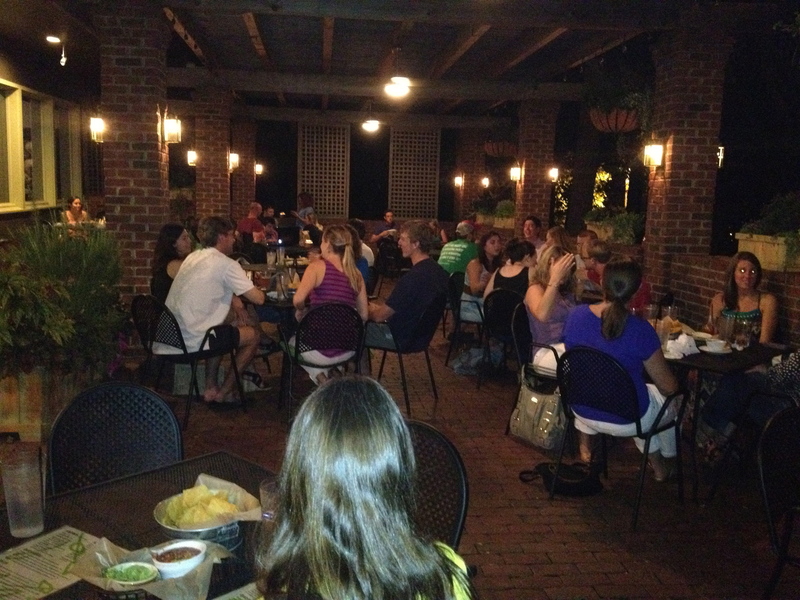 Once we figure out that we can park at Verde and walk to the brewery, we know we can check Red Brick off of our list. 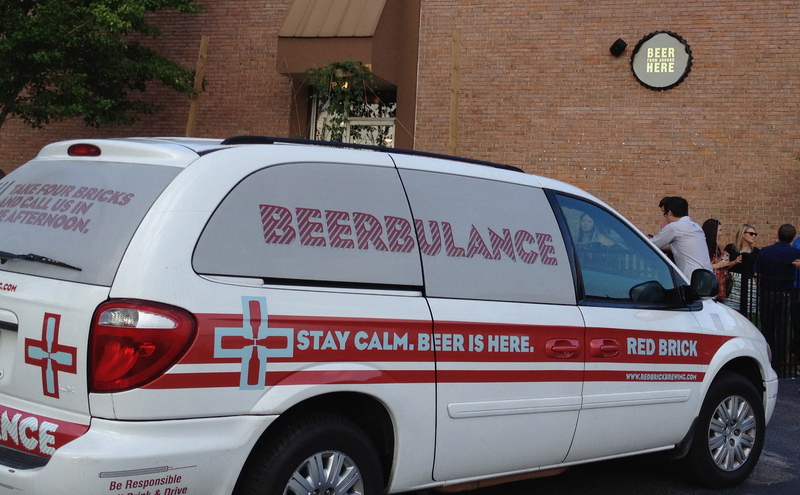 One ambulance we wouldn’t mind a ride in. For $10, you get four, eight-ounce “tastes” of beer. The pours at Red Brick are very generous, so we actually get around 12 ounces per pour. How was the beer? At the risk of our friend “NvN” skipping this part of the blog, the Red Brick Brown was Eve’s favorite and the Old Stock was the one I liked the best. 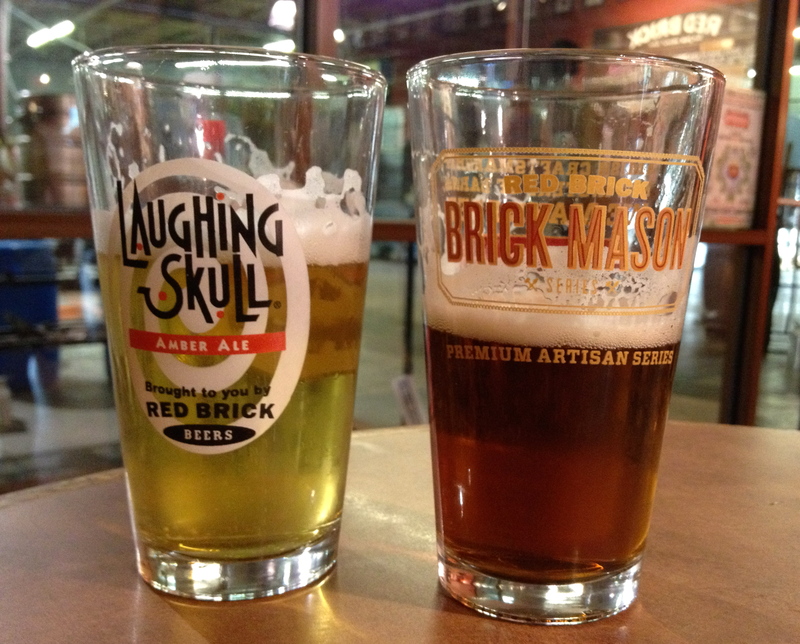 That’s Red Brick Blonde in the Laughing Skull glass, and Laughing Skull in the Red Brick glass. Go figure. As we get into the higher alcohol beers, this makes us very glad that we walked to Red Brick. There’s a band playing 90’s alternative music and it’s an unseasonably cool night in Atlanta, and we hang out way past closing time at 8PM. Our dinner destination for the night. 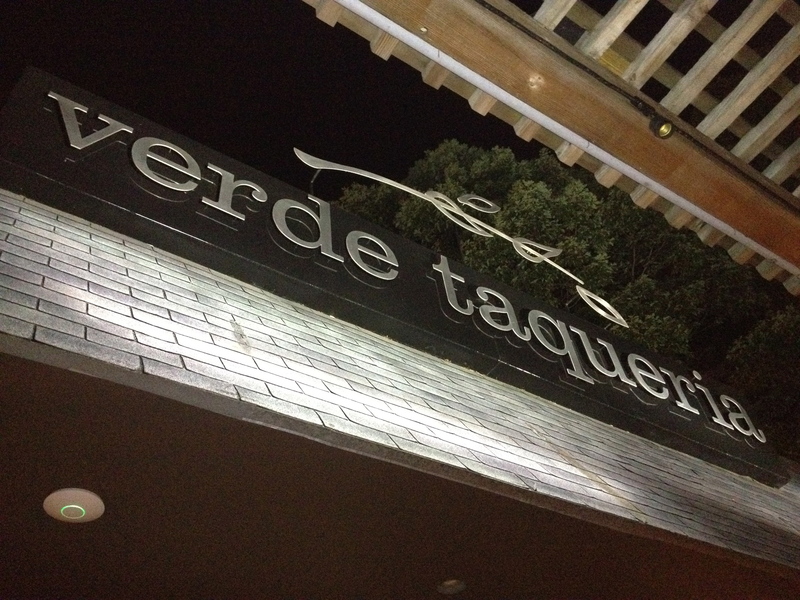 After about a mile walk, we wind up at our dinner destination, Verde. There are two Verdes in Atlanta, this one in Collier Hills, and one in Brookhaven. Because it’s such a nice night, we decide to sit outside on the spacious patio, even though the Falcons are playing on the many plasma TVs inside. We have had enough beer at Red Brick, so we do not order any drinks. The beer list here is pretty limited and you would think that since Red Brick is so close, they would feature it, but it’s not even on the menu. Eve’s hair should be in a shampoo commercial. It’s a late night Date Night and we are hungry. Mexican meals should all start with chips, and we get some guacamole to go with them. 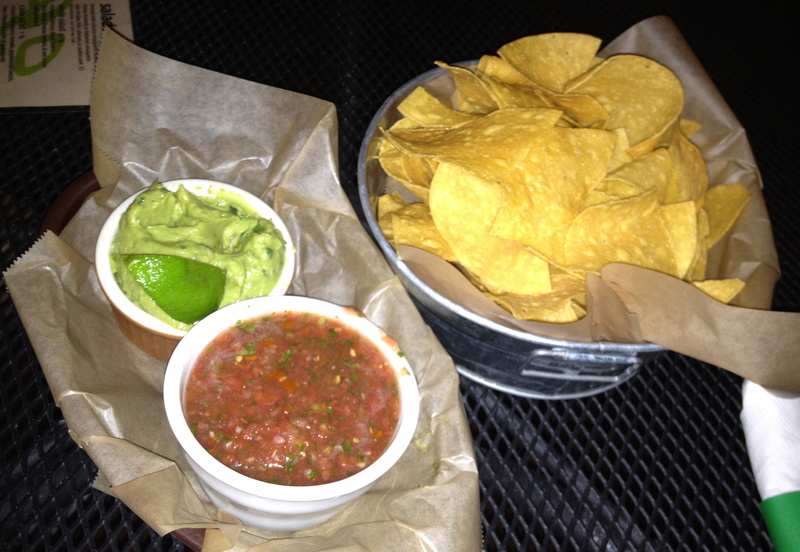 Guac, chips and some spicy salsa. The menu is mostly tacos, which makes sense at a taqueria. Buffalo tofu in the front, and calamari in the back. We get four different tacos, and we share them all, giving us each a good sampling of the menu. The tofu is spicy due to the buffalo wing sauce. The calamari (Eve’s favorite) is crispy and hot. That’s fried shrimp in the front and chicken parm in the rear. The chicken parmesan taco is the special tonight. It tastes just like…chicken parmesan! 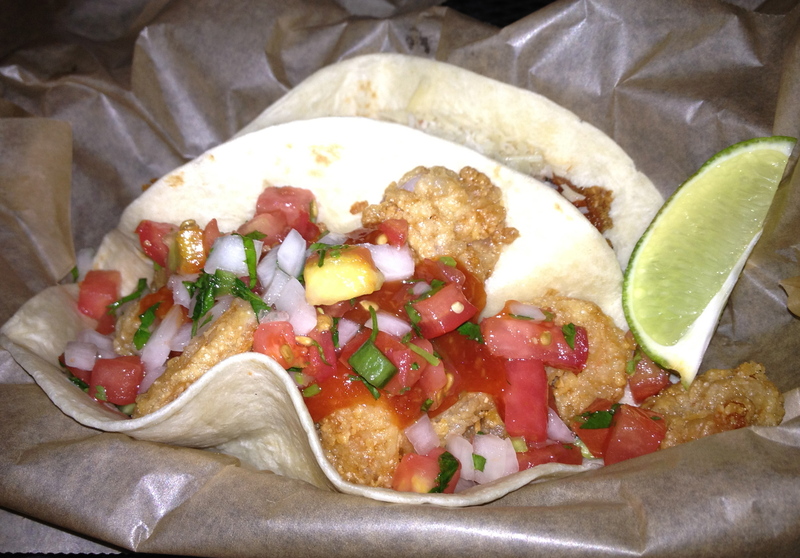 It’s a strange choice for a taco, but it is really good, and was, in my opinion, the best of the four. The fried shrimp was similar to the calamari, and just as tasty. 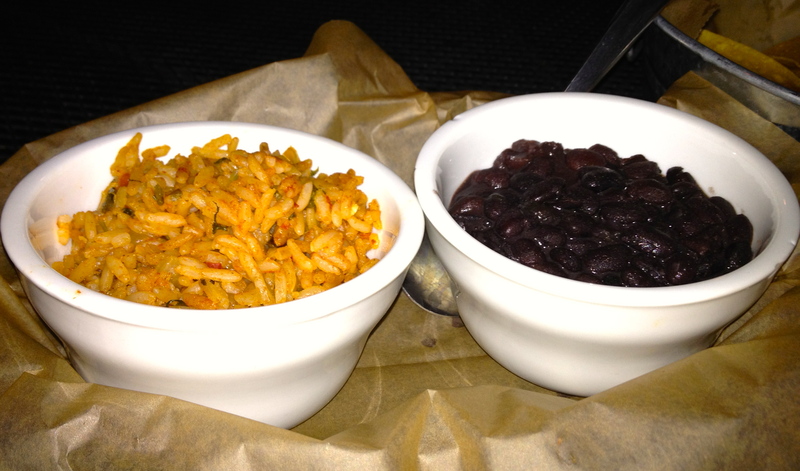 Beans and rice, more Mexican staples. We also got a side order of beans and rice to complete our meal. Verde is an excellent choice, and it is cheap by Date Night standards. All of this food is only $22, so two people on a date can eat for a reasonable price. This price for this amount of flavor gets Verde a Date Night thumbs up. Check it out if you are near either location.